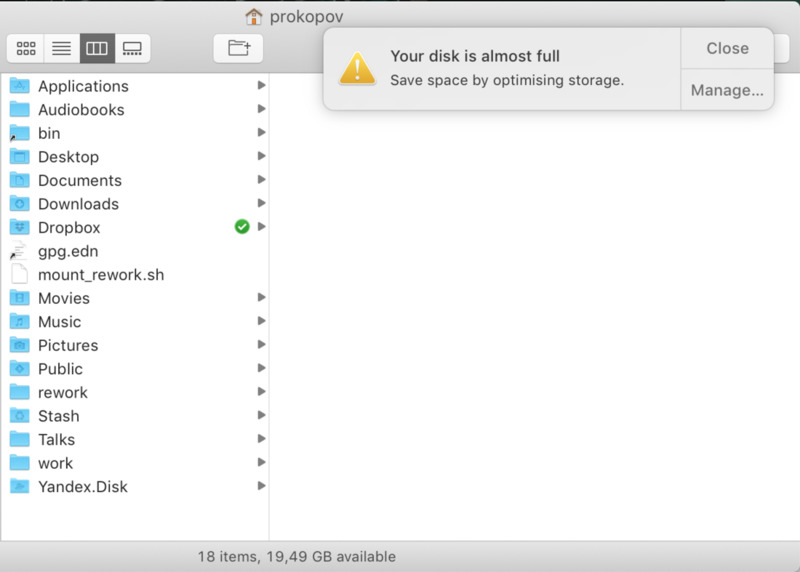 nikitonsky: MacOS, let’s not notify me when my disk is almost full. Let’s notify me when it actually runs low on space. 20 Gb free might be less than 10% of its size but it’s still 20 Gb!!! Why should I be worried when there are 20 MORE GBS free??? What are you planning to put there?